I've put feelers out in various places and at various times on RR for a pic I'm trying to find. Cecil Gordon raced Gray's car to a 32nd place finish at Charlotte. 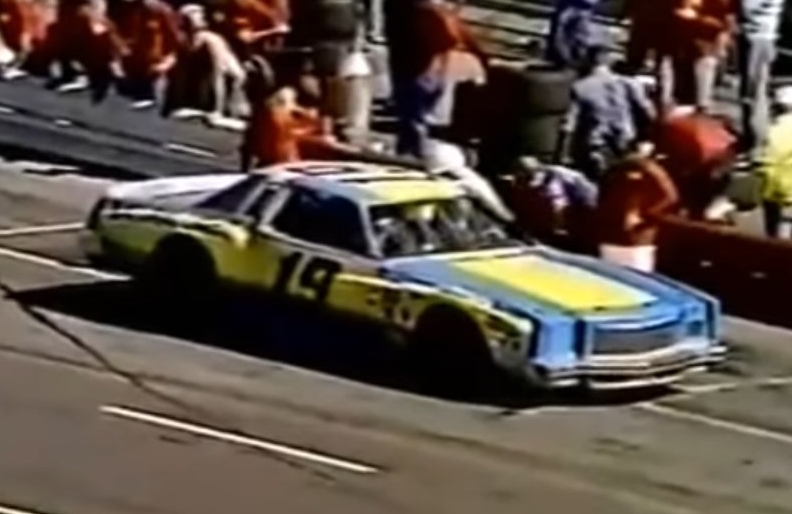 The car only lasted about half the race before Cecil retired it with a bum clutch. That much I knew before last night. But in crawling through old newspapers, I learned Lennie Pond may actually have qualified the car 22nd. Pond ran a few races for Henley down the stretch of the 79 season so that makes a bit of sense to me. But I don't yet know why Cecil took over the wheel in the race vs. Lennie. Bottom line, anyone have pics of this car from qualifying, testing, or the race? TMC, don't have any pics, but I went to that race...big E won, best I recalll. Awesome pre-race air show. The pic is out there though. I just KNOW it is. Like Ahab and his great white whale, I continue my pursuit. A screencap good enough? This when Gordon exited and Jarrett entered. Cool! Thanks David. Turns out it wasn't all that special of a scheme - just Henley's Petty blue and yellow scheme used often. The scheme was borrowed from Woody Fisher when he was supposed to drive for Henley. Deal never happened, but Henley's car had already been painted. And then he used the colors from tha point forward.